Glenn Wilson is very excited to be a Titan and looking forward to making some great music with the IWU family. Glenn has been a professional jazz saxophonist for over 40 years. After earning his Bachelor of Music Education from Youngstown State University in 1977, Glenn moved to New York City, where he worked and recorded with The Buddy Rich Band, Lionel Hampton Orchestra, Toshiko Akiyoshi Jazz Orchestra, Tito Puente, Machito, Bill Kirchner Nonet, Bob Belden Ensemble, and scores of other jazz and latin-jazz groups. Glenn recorded his first CD as a leader, the highly-reviewed Impasse, in 1984 for Cadence Records. In 1988, Glenn began his association with Sunnyside Records with the release of Elusive. Three more CDs with Sunnyside – Bittersweet, Blue Porpoise Avenue, and One Man’s Blues – as well as a recording for Timeless Records, Lee’s Keys Please, followed in the next decade. Glenn also appeared on over 25 jazz recordings as a sideman during this time. Glenn’s CDs are featured in the Penguin Guide of Jazz and The Grammophone Guide to Good Jazz, and he has also received a National Endowment for the Arts Grant and has been featured in the DownBeat Magazine Critics Poll in the Baritone Saxophone category. From 1991-2001 Glenn was an active member of the jazz community in Virginia, Washington DC, and Baltimore. He performed numerous times at The Kennedy Center and Blues Alley Jazz Club. In 1993 he recorded with pianist Bruce Hornsby on Harbor Lights and joined Bruce’s band. With Bruce, he was featured on “VH1 Center Stage,” “Austin City Limits” and “Arsenio Hall,” and received a gold record for his playing and arrangements on Harbor Lights. Glenn’s CD Devil’s Hopyard with his group TromBari, featuring trombonist Jim Pugh, was released in 2012. In 2015, Glenn released Timely on Cadence Jazz Records. Timely has been reviewed worldwide and features the trumpet of John D’Earth in a live club setting. Glenn performs in clinics, concerts and clubs around the world with his groups. Recent performances include Tony Bennet/Lady Gaga, Seth McFarlane and Frank Sinatra Jr. with the Chicago Philharmonic Ravinia Orchestra, and tours with Doc Severinsen. 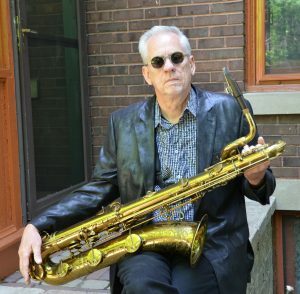 Glenn completed a Masters in Jazz Performance at the University of Illinois in Urbana in 2006 and taught Music Business and Jazz Pedagogy there as well as leading combos, big bands and teaching in the jazz saxophone studio until 2014. Andrew Dahan is currently Head of Music Education at Illinois Wesleyan University, where he teaches courses including Foundations and Principals of Music Education, Choral Music Methods, Practicum in Music Education, and Seminar in Student Teaching. Dahan also directs the IWU Vocal Jazz Ensemble, Unlicensed Syncopation. He holds a Bachelor of Music degree in Music Education from Northwestern University (Evanston, IL), a Master of Music degree in Jazz Pedagogy from the University of Miami (Coral Gables, FL) and is a Ph.D. candidate in Music Education, also at the University of Miami. His research, focused on vocal jazz ensemble rehearsal techniques and vocal jazz education history, has been presented at both state and national conferences, and published in Research Perspectives in Music Education. Dahan was formerly an adjunct faculty member at Miami Dade College (Miami, FL) as a jazz voice instructor. 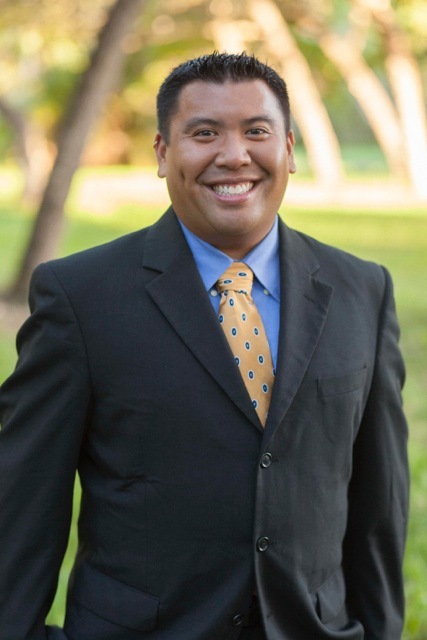 Prior to beginning his doctoral studies, Dahan was Director of Choirs at Addison Trail High School (Addison, IL) for seven years, where he directed the curricular choirs and the vocal jazz ensemble, Shades of Blue, and also taught class piano and AP Music Theory. He has presented numerous workshops and clinics aimed at helping choral music directors learn how to incorporate jazz into their programs, even when they have not any education in this style of music. Unlicensed Syncopation had the pleasure of performing at the 2016 ILMEA Music Education Conference (Peoria, IL), and will be performing at the JENerations Jazz Festival as part of the Jazz Education Network (JEN) conference in January 2017 in New Orleans. As a performer and director, Dahan has had the privilege of serving as director or assistant director for various choral and vocal jazz ensembles at the University of Miami, directing various ILMEA District Vocal Jazz Ensemble, singing the National Anthem at Miami Heat Games, as well as singing as a background vocalist for notable performers such as George Benson, Gloria Estefan, Ben Folds, Raul Midón, and Steve Miller. From 2009-2011, and again in 2015, Dahan sang with the Grant Park Festival Chorus under the direction of Christopher Bell and Carlos Kalmar.